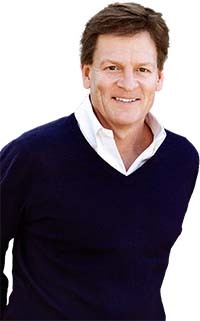 On October 16, Krannert will welcome bestselling author Michael Lewis for the Purdue Series on Corporate Citizenship and Ethics. Lewis, a non-fiction writer and financial journalist, has published many New York Times bestselling books on various subjects. Among his recent works are Flash Boys and Boomerang, narratives set in the global financial crisis. The Blind Side, published in 2006, tells the story of Michael Oher, a poor, illiterate African-American kid living on the streets of Memphis whose life is transformed after he is adopted by white Evangelical Christians. Before that he wrote Moneyball, a book ostensibly about baseball but also about the way markets value people. Both of his books about sports became movies, nominated for Academy Awards, as did his book about the 2008 financial crisis, The Big Short. His other works include The New New Thing, about Silicon Valley during the Internet boom; Coach, about the transformative powers of his own high school baseball coach; Losers, about the 1996 Presidential campaign; and Liar’s Poker, a Wall Street story based in part on his own experience working as a bond salesman for Salomon Brothers. His latest book, The Undoing Project, explores how the friendship between two Nobel Prize-winning pioneers of behavioral economics incited a revolution in Big Data studies, advanced evidence-based medicine and led to a new approach to government regulation. Lewis, a columnist for Bloomberg View and a contributing writer to Vanity Fair, has also been published in The New York Times Magazine, The New Yorker, Gourmet, Slate, Sports Illustrated, Foreign Affairs, and Poetry Magazine. He has served as editor and columnist for the British weekly The Spectator and as senior editor and campaign correspondent for The New Republic. He has filmed and narrated short pieces for ABC-TV’s Nightline; created and presented a four part documentary on the social consequences of the internet for the British Broadcasting Corporation; and recorded stories for the American public radio show, This American Life.